Barbara Madeloni, president of the Massachusetts Teachers Association. Barbara Madeloni, the combative president of the Massachusetts Teachers Association, never hesitates to ride into battle. But she may be in need of a new steed. The union’s by-laws — Article VII, Section 2, to be precise — require that any candidate for president or vice president be an active or retired member of the MTA. And any active member, the rules say, must have an affiliation with an educational institution. The MTA president, in many cases, is a teacher on leave from a school district. But for the past 2½ years, Madeloni’s educational affiliation has come by way of an unusual and, until now, unreported “unpaid leave” from her former employer, the University of Massachusetts Amherst. University officials, after parrying the Globe’s questions for several days, have made it clear they will not renew the leave when it expires in August. 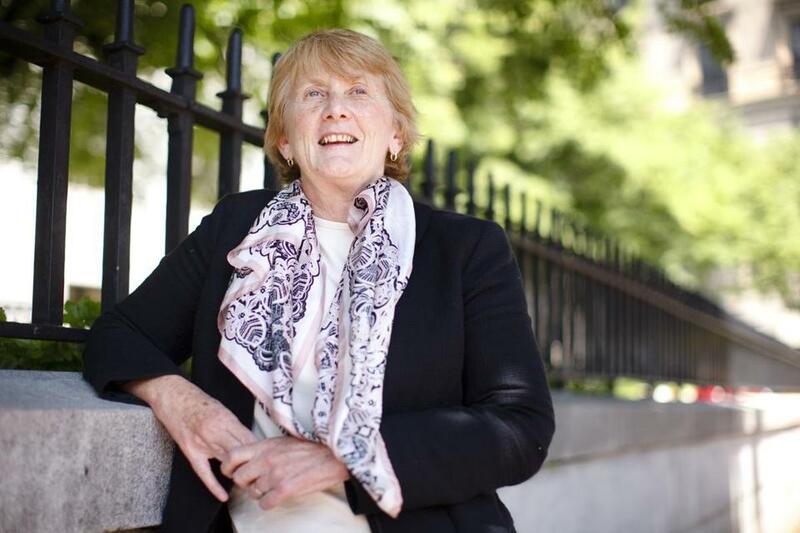 And that creates a touch of uncertainty as Madeloni gears up for re-election as MTA president in May and leads the fight against lifting the state’s cap on charter schools. But just a touch, really. Madeloni calls her expiring affiliation with UMass Amherst a “non-issue.” She is confident she can find a new gig teaching at a college or university. And if all else fails, she could “retire” as an educator and still qualify under MTA by-laws. In fact, union officials say, it may be that the requirement of MTA membership, active or retired, is merely an election issue and not a governance issue. Under this interpretation of the by-laws, a president who gets elected in May while she’s still an active member of MTA and loses that status afterward, in August, could continue to serve in the post. Madeloni’s unpaid leave from UMass Amherst has its roots in a very public dustup with the school. In 2012, when she was running the university’s teacher training program for middle- and high-school teachers, she opposed a new program outsourcing teacher assessments to a private education firm. Sixty-seven of her 68 students joined in the protest. “We are putting a stick in the gears,” she told the New York Times. Shortly thereafter, she was told her contract with the school would not be renewed. UMass Amherst officials said the timing was an unfortunate coincidence, pointing to documents showing they had long planned to replace Madeloni with a tenure-track faculty member. In a January 2013 settlement, obtained by the Globe, UMass Amherst gave her a one-time payment of nearly $75,000 and a one-year unpaid leave; Madeloni says the unpaid leave allowed her to hold onto her health insurance. A year later, Madeloni won the MTA presidency and re-opened her agreement with UMass Amherst, winning a two-year extension of the unpaid leave. A UMass Amherst spokesman says the school granted the extension as a courtesy to the MTA, which represents faculty and staff on campus. It was an unusual agreement between a union president and a major negotiating partner. But four labor law experts consulted by the Globe say it does not raise significant ethical concerns: No money changed hands, they note, and management typically keeps union leaders on staff in some capacity. It’s the way it’s done. Indeed, UMass Amherst’s affiliation with Madeloni may not end with the expiration of her unpaid leave. A university spokesman says the school won’t rule out hiring Madeloni back afterward.